one-quarter of the foregoing total weight olive oil"
The ability for hash oil to soak into the dermal layer and penetrate deeply and quickly and have profound topical and oral affects explains why the priests, magicians, and shamans of the ages have been carrying it, cultivating it, and applying it to their bodies, foreheads, and magical objects for protection and illumination. The high associated with oral use of cannabis extract also explains the reverence for the oil in a nearly religious sense. My recent foray into researching cannabis concentrates led me to the Bay area dispensaries, to Los Angeles, to Humboldt and Trinity counties, and to an underground competitive cup of hash oils. 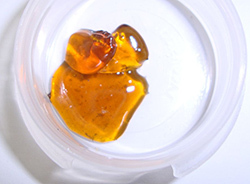 I discovered that while the cannabis extraction (wax and oil) market has overtaken the hash one in popularity, the information in online threads was often contradictory and incorrect, the popular trends in concentrates commonly misguided, and the methods of extracting often dangerous and producing products possibly unfit for consumption. Because the California law conflicts itself, it is difficult to find validated information or open sharing on production techniques. It is also true that some methods of extraction are guarded by those who have cornered sections of the market. Realistically, the legal restrictions in California only further the dangers of ill-conceived production, rather than preventing explosions, common to inexperienced producers. "While in LA at a hash convention, my friend and I smoked a dab of wax from a kiosk and both had immediate hot flashes and restriction in breathing, likely because the product was full of impurities or refined chemical fertilizer from an indoor grow." This is a perfect example of the doublespeak in current California Marijuana law. How can we legally possess, smoke, and sell concentrates if it is illegal for ANYONE to make them?! 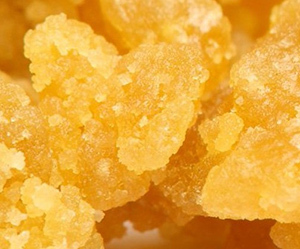 This law not only supports disinformation by promoting fear among the makers of concentrates, but also limits information about properly producing them, leading to MORE, not less dangerous procedures. Again, this elusive product is historically steeped in controversy and cloaked with the cloudy words of legalese. In researching the market of concentrates, I found massive amounts of disinformation and extreme resistance to scientific fact. The madness of a market driven by trends rather than facts is infuriating for an educated person. While in LA at a hash convention, my friend and I smoked a dab of wax from a kiosk and both had immediate hot flashes and restriction in breathing, likely because the product was full of impurities or refined chemical fertilizer from an indoor grow. Furthermore, some of the wax on the market at dispensaries is not actually tested before sale and may still contain hydrocarbons from the butane lighter fluid/gas. I witnessed a friend sell wax to a dispensary who claimed they would immediately "test" it, only to walk back in the door half an hour later and see it on the shelf for sale. In fact, one 60 year old friend who has been making wax for 30 years, told me that he made blonde wax (without using any heat to purge the butane hydrocarbons, preserving the color), and had it lab tested, while it solely laid out on a table in a cool room, every month for six months before the lab found it to be butane free. This shows that the preference for wax that is blonde in color is a misguided one, because that can signify that it still contains hydrocarbons from impure butane and likely other impurities, depending on the extraction methods. I visited nearly 40 dispensaries in the Bay area and Los Angeles and found everything from simple one room stores to vast glass cases full of historical bongs used by rock stars, to wax bars stocked with cereal bowls full of varying substances, from honeycomb to shard to puffy blonde cake. Many of the salespeople were helpful, while others were clearly misinformed about the products. When I questioned one salesperson about her odd vitamin-style gelcap CBD product, she could only tell me it was "weed." I asked if it was wax or some other form of concentrate and she said, "No, you can't eat wax." This is contrary to my experience as I've eaten copious amounts of wax and oil, rubbed it all over my body in oils, sprays, and tinctures, inside and out to successfully treat everything from menstrual cramps to muscle spasms to insomnia. To hear a counterperson insist that hash oil is not edible was shocking. This, however, was not the first misconception I came across. Another retail person told me that wax cannot be heated over 90 degrees during the production. Again, I stared in disbelief. I have friends in tropical climates that make wax all day in temperatures above 90 degrees. Cannabis does not vaporize until heated well over 100 degrees, although oxidation, which merely affects the color of the wax, can occur at lower temperatures. The market's insistence on blonde crumbly wax created at very low heat and humidity seems purely cosmetic. And, while crystal extractions may be easier to sprinkle upon a joint, there is nothing wrong with gooey oil or crumbly concentrate, especially if you are dabbing or vaporizing in a pen. I recently discovered hash oil while vacationing after a particularly stressful few months. My friend took me to the tropics and handed me endless hash oil-laced joints. It worked. I noticed after a few days that it worked better than I expected, as many of my aches and pains went away and my perpetual slight joint pain miraculously disappeared. My cells began to feel inflammation-free, and my mind calm. He was on adult doses of morphine and other narcotics, and they were killing him. All of his organs had been fried by the chemo," Mike said, adding that doctors told him that brain damage was unavoidable at that point." (http://coloradoindependent.com/90826/the-cash-hyde-story-one-of-the-youngest-medical-marijuana-patients-is-thriving). As I synthesized all of this information, I began to really grasp what a magical substance this cannabis essential oil is, and why the ancients have used it for millennia for healing, protection and purification. For further reference from High Times on medical benefits of hash oil in effectively treating addiction, "Another of Denver's extraction experts is Daniel "Big D" de Sailles, a partner at Top Shelf Extracts, who isn't quite as skeptical. "I'm a 100 percent proponent of BHO [butane hash oil], because I've seen it make people's pain just evaporate," he states. "As medicine, it helps with both harm reduction -- it practically cures withdrawal symptoms in people who are alcoholics or addicted to speed or pharmaceuticals -- and pain management. It works every single time, and it's easier to regulate your dosage. You take a fraction of a percent of a gram, and you're fully medicated and exactly where you want to be." (http://hightimes.com/read/dab-or-not-dab).13 This was reiterated to me in an anecdotal story of one dispensary that gave free hash oil to meth addicts, with an extremely high recovery rate over time. Several months ago my close friend made his first large batch of wax with a man who learned from his uncle while in his teens. I tagged along and witnessed the process with an amused curiosity. My friend who is now in his 30's, explained to me that the wax market has changed drastically since he began. While once $100/gram, it is now sold in dispensaries for $40-60 a gram and bought wholesale from the buyer for $12-20/gram. A market once full of nearly black gooey oil in medical syringes is now full of blonde cakey concentrates, crumbly waxes, orange crystals and shining amber shards of hard shatter. What the market misses is that these products are essentially the same, (albeit with varying flavors and THC and CBD ratios), only presented in different enticing textures and colors. One differentiating factor is the form that the patient chooses to ingest the product -- from dab, to smoking, to vaporizing. Nevertheless, what I learned from the old-timer previously mentioned is that bho appearing blonde in color is sometimes still chock full of butane-sourced hydrocarbons, because the purging process often oxidizes it enough to darken the concentrate. The popularity of this blonde product stumped me at first because my friend's product was refined for weeks and still left a dark amber color, although blonde when first extracted. The freshness and purity of the original material also affects the color, as excess waterleaves in trim and aging or rotting shake will darken the product. It is also true that different strains affect the final color outcome, as OG strains often appear darker while SD strains often produce a lighter shade of wax. Another factor is that outdoor weed, which is always higher in CBD and antioxidant properties because it is grown in the elements and withstands the stress of natural existence, usually creates a darker oil than indoor weed. Again, this ironically, supports the darker oils as equal if not superior products. My friends bought an eight ounce stainless steel three chamber Tamisium closed system essential oil extractor, coffee filters, brillo pads (which they soon discarded for micron filters), fans, heating pads, two vacuum pumps, two desiccation chambers, an Excalibur food dehydrator, a cooler, hot plate, and a lot of small buds and shake and began their grand experiment in BHO (butane hash oil) extraction several months ago. The investment on equipment was steep, but worth every penny for the extra safety and high quality product. They chose a closed system extraction process because of the danger of blasting butane into the air, the number of explosions reported over the last few months in hotel rooms and houses leaving people with 3rd degree burns on their faces and hands, and the ecological and cost-saving benefits of recapturing butane. Although it takes nearly 45 minutes to recapture butane in an eight ounce machine, the wait results in safety and peace of mind. The Tasmisium extractor is argued to be the simplest and most efficient extractor of its kind on the market and can be used for any essential oil from hash, to lavender, to rosehip. After many hours of purifying their wax in vacuum chambers and hot water baths, they chose to winterize it by further cleansing the butane hydrocarbons with Everclear. They began by filling mason jars 10 to 1 (as recommended by the godly Skunkpharm lab, one of the few accurate sources of scientific information on oil), and freezing it for 48 hours. Because they didn't have a freezer on hand, they filled a cooler with dry ice and put the product into a deep freeze for 48 hours, separating out the waxes, chlorophyll, and plant material from the oil. From research, I expected the process to lighten the color of the product (to please the trendy market), and make it more palatable for sale to a dispensary at a higher price. The end product, after straining through organic coffee filters and Element rolling papers, was actually only slightly lighter in shade, an amber color, but highly refined to the point that the process was noticeable upon smoking. Vaporizing BHO that has been treated with this much care and further processed through winterization is a treat in taste and high. Although some of the original flavor of the strain is lost in winterization, the product feels very clean when puffing and elevates the mind to a pleasant and calm state, knowing that all impurities have been excessively purged. Also, post-winterization, the product is easier to use in the newly popular vaporizing pens because it doesn't gum up the mechanism with wax. Another misconception I came across in the hash oil market is that of butane versus CO2. The hippie market of San Francisco has an increasing desire for CO2 oil, believing it to be cleaner and free of the possibly carcinogenic impurities in butane and its neighboring chemicals, especially in the form of lighter fluid. Pure N-Butane is free of other chemical impurities, but more difficult to attain in small amounts and harder to explain to a gas company upon purchase. Photo © 2012 Andres Rordiguez : Symic. Most head shops sell lighter fluid butane by the case, but none sell giant tanks of N-Butane. CO2 is quite another story. The contraptions to make CO2 hash oil are expensive, rare, hard to acquire, and, therefore, difficult to receive training on proper usage. There are really only a handful of CO2 hash oil producers in the country, all of whom are making bank off their product and off the concept that it is somehow "cleaner" than BHO. Although it's golden liquid is coveted, I have found little evidence to scientifically explain the advantage of CO2 over BHO oil. Furthermore, one producer of CO2 oil told me that another element is often used to keep the CO2 viscous enough for vaporizing pens, when it is made to put into their refillable cartridges. Ironically, some producers use glycerine for this purpose, while others use, none other than, propylene glycol, an FDA approved petroleum product which liberals have railed against for years. Again, in this research of my new favorite product, I was unsettled by the naivety of the hash oil market in being swayed to overpay for CO2 oil, while overlooking BHO as "impure." What I have found to be true is that the lighter shades of BHO may be impure, as little heat was used to purge them and they may not be purged long enough to pass testing. This only means that suppliers should develop rapport with their buyers and get the product regularly tested. Heat and vacuum purging rapidly increase the rate of butane and hydrocarbon vaporization. I do feel that the winterization process leaves the product nearly 100% purged of impurities, though it is difficult to find continual evidence as each batch must be tested. One dispensary I visited claimed that they test BHO until there are only zeros up to five numbers past the decibel in butane particle presence. Clearly, BHO should be tested and purged but I believe there is very little evidence that it is dangerous to the consumer. The incidents I have found of people suffering from illnesses after smoking BHO were all anecdotal, with zero scientific evidence to support them. I have seen no medical warning from any validated source on the topic. Again, as Bobby Black, in High Times reiterated, we smoke weed using butane lighter fluid to light our bowls all the time -- it is not a new presence. In addition, hash oil can be made with very low THC, high CBD strains that result in a refined antioxidant, anti-carcinogenic product for treating multiple serious illnesses while retaining an ordinary state of consciousness. This is clearly a wave of the future in medical treatment. I even recently heard that scientists have successfully developed methods for fully separating out the THC from the plant, leaving only pure CBD extract. However, as an advocate of herbal medicine, I wonder about the value of picking and choosing elements from nature's apothecary with a modern and efficient disdain for all of nature's complexity. While essential oils concentrate the purest elements of plants, chemical replication and separation play God with nature's bounty, like GMO crops, separating out one affect or another at will. Over and over, we seem to find that tinkering too much with nature brings us back to her in the end. And, although we have bred cannabis to be massively high in THC, I do believe that the presence of THC is a helpful aspect of this medicine for the rapid pace of our modern culture. Again, I think of the brilliant yet controversial Crowley, who single-handedly synthesized many of the world's magical belief systems, from kabbalah to the Tao Te Ching, to Catholicism, into a sort of pantheistic practice and presented the information in charts of magical correspondence. He did not "take out" the dark and scary parts, he brought them all in. He did not turn away from the demons, the shadows of the psyche, or the THC and color of hash oil, he called them all out by name, each by each, and integrated them. Similar in magical resonance in respect to nature's apothecary, I believe Westerners are only beginning to bridge the gaps between ancient holistic knowledge and modern linear thinking with scientific proof and legal support. I believe that ancient Christian priests may have anointed themselves bodily with hash oil and covered their sacred objects in its magical residue and that ancient European shamans carried cannabis concentrates across giant mountains for a damned good reason. We are just beginning to relearn what these people already knew; cannabis oil is a truly magical substance that has stood the test of time and is capable of healing a variety of maladies -- physical and psychological, mental and spiritual. As I drop a dab into my vaporizing pen and puff, I would be wise to pray to the hash gods, for they have certainly withstood the test of time. World's oldest marijuana stash totally busted. http://www.nbcnews.com/id/28034925/ns/technology_and_science-science/t/worlds-oldest-marijuana-stash-totally-busted/. Russo EB, Jiang HE, Li X, Sutton A, Carboni A, Del Bianco F, Mandolino G, Potter DJ, Zhao YX, Bera S, Zhang YB, Lu EG, Ferguson DK, Hueber F, Zhao LC, Liu CJ, Wang YF, Li CS. "Phytochemical and genetic analyses of ancient cannabis from Central Asia" J Exp Bot. 2008;59(15):4171-82. Wikipedia: Abramelin Oil. Hassan-i Sabbah, an ancient Persian figure revered for his mystical and military powers and use of hash oil. SkunkPharmResearch. One of this country's leading sources of accurate information on cannabis extraction and research. Lashtal Discussion of Translation of Bible Terms. Most educated sounding evidence behind the mistranslation of cannabis into "cassia/calamus," due to translation. NORML: Recent Research on Medical Marijuana. NORML website and specifically its long list of Western studies using marijuana and extracts to successfully treat illness. Scot Kersgaard. Colorado Independent article on Cash Hyde, the famous child who went into remission from an inoperable brain tumor using hash oil. Chris Roberts. SF Weekly article on Cash Hyde and the tragedy of his death due to inaccessible medicine. (There are MANY articles on this case). Bobby Black. 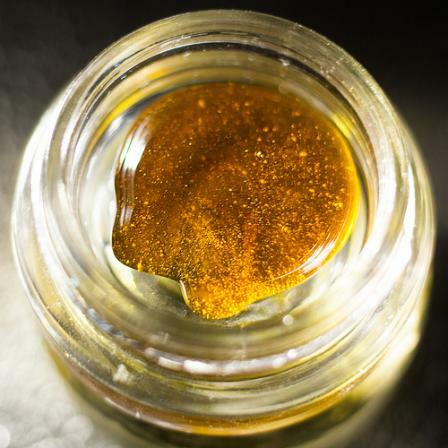 Bobby Black's excellent High Time's article on hash oil. Tamisium Extractor. Website of Tamisium closed system extractors for making essential oils. "A Tamisium Extractor is the first commercially produced low temperature, low pressure extractor designed to use a liquid hydrocarbon as the primary extracting solvent and RECOVER IT for reuse safely, easily and economically." Hallet A. How Hash Oil Is Blowing Up Across the U.S. - Literally : FEMA issues warnings about BHO open system explosions taking out hotel rooms, apartments, and leaving 3rd degree burns on people who are often hospitalized. Basic information on Rick Simpson's mission. Rick Simpson's Hemp Oil Medicine: Natural Cure For Cancer Using Concentrated Cannabis Oil. Americans for Safe Access. http://safeaccessnow.org/.